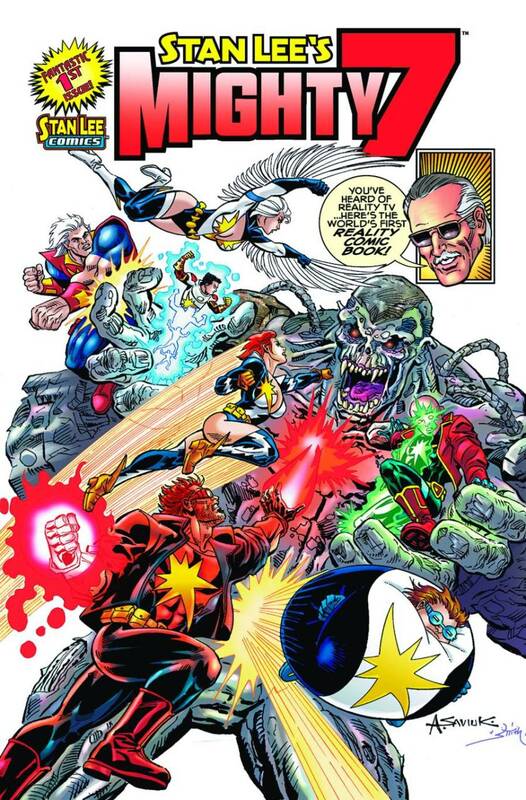 A2 Entertainment, a full-service brand entertainment company, and Stan Lee’s POW Entertainment announced a number of licensing and branded content deals for “Stan Lee’s Mighty 7” (SLAM7), a new comic book series created by Stan Lee, the legendary comic book great. Andy Heyward, CEO of A2 Entertainment, and Lee were together at the second annual Comikaze Expo in Los Angeles, CA to finalize the details of their expanded partnership. Among the announcements made at Comikaze Expo is an agreement for the original feature film, "Stan Lee's Mighty 7," to have its world television premiere next year on The Hub TV Network, a destination for kids and their families. The feature film will serve as a springboard for a potential future television series. Gaiam Vivendi Entertainment will handle home video distribution. Also part of the announcement is an exclusive licensing partnership between Hot Topic and GreenSource to introduce an exclusive “SLAM7” apparel program at the retailer in 2013. 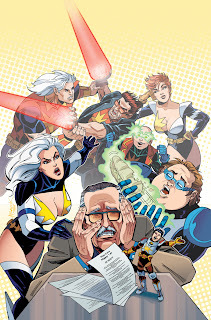 Archie Comics, publisher of the “Stan Lee’s Mighty 7” comic book, also announced another series of original SLAM7 comic books which will continue to be released every other month through 2013, starring the legendary superhero creator as he teaches a crew of alien prisoners and their jailers, who have crash-landed on Earth, how to work together and use their powers to be superheroes. The series features brand new characters Strong Arm, Laser Lord, High Rise, Vanisher, Hip Hop, Lady Lightning and Silver Sparrow, whose super powers range from super strength and bio-blasts to telekinesis and shrinking ability. Lee is known as the co-creator of Spider-Man,™ The Incredible Hulk, ™ X-Men, ™ and Iron Man, ™ among many others. “Working with A2 and Archie has been a most exciting partnership, and we are looking forward to building a worldwide franchise around “Stan Lee’s Mighty 7,” said Gill Champion, POW! Entertainment’s CEO. 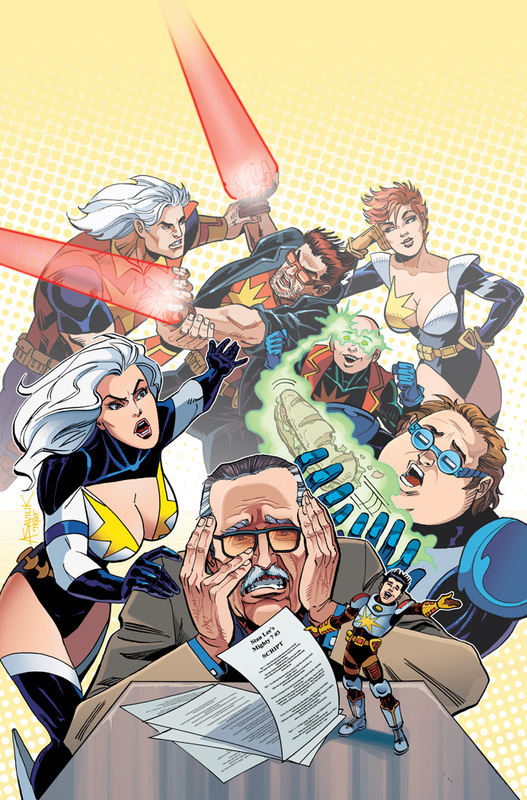 “Stan Lee’s Mighty 7” is currently in production with three issues currently available and new issues being released every other month both in print and digital editions.